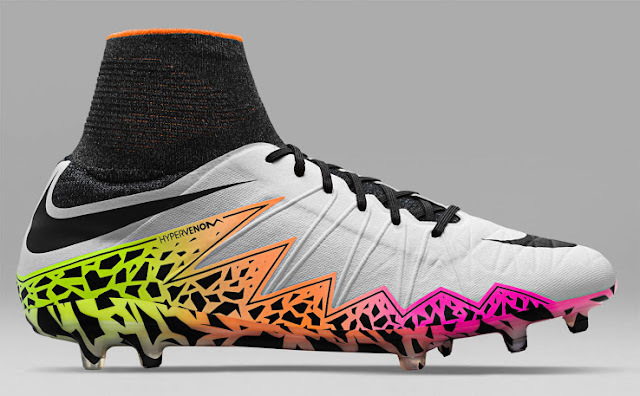 Nike unveiled the new Nike Radiant Reveal Pack 2016 which includes white and multicolor designs. The American based sports kit supplier has introduced four new designs in white, orange, pink and yellow designs. This radiant pack is for men as well as for women also. 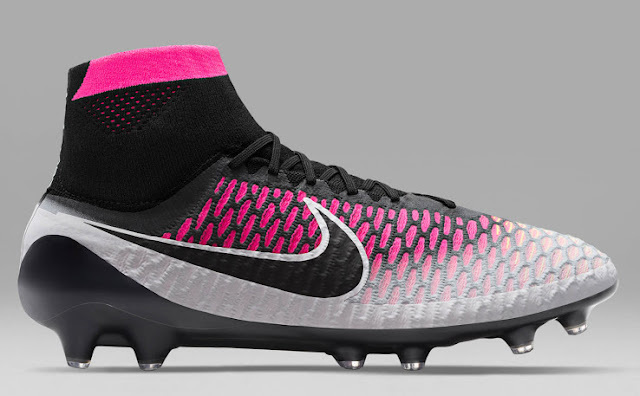 It includes Nike Hypervenom Radiant, Nike Magista Obra, Nike Mercurial and Nike Tiempo pack. So have a look on these new soccer cleats one by one. 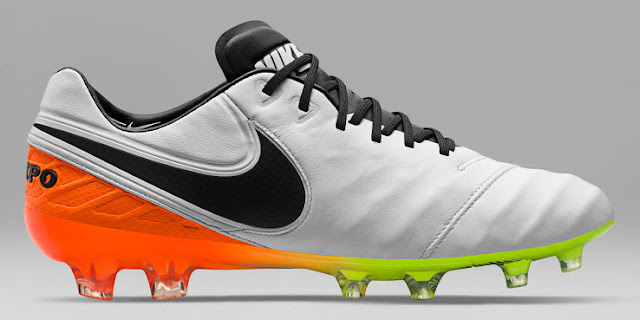 The Nike Tiempo Radiant reveal pack is featured with white, orange, black and little bit amount of green applications. White background is used on the front upper surface with a black colored Nike swoosh on its back portion. Laces are also in black. Back-heel a is beautifully designed in orange appearance on which “TIEMPO” is written in black. Tongue of boot is also made in black on which “NIKE” is written in white. Sole plate of Nike Tiempo radiant reveal pack built with orange and green colors. One of the most popular series of Nike soccer cleats, the Mercurial family is also featured in this collection. Having black dynamic fit collar, the mercurial football boot is mainly built with a unique design of lines to provide better control on ball. Most part of the shoe is designed in white. Front area is featured with black colored Nike swoosh. 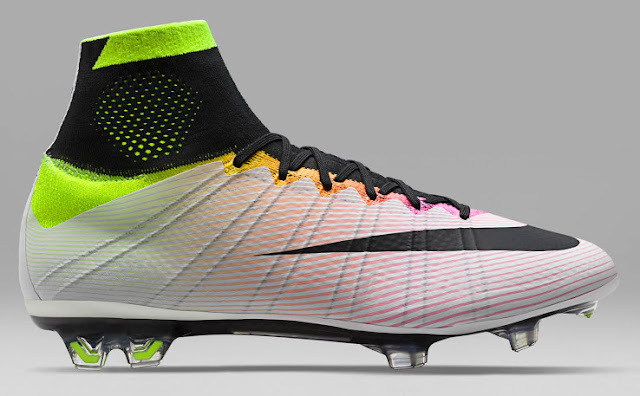 A low cur Nike Mercurial vapor 10 is also featured which is looking simple yet attractive. 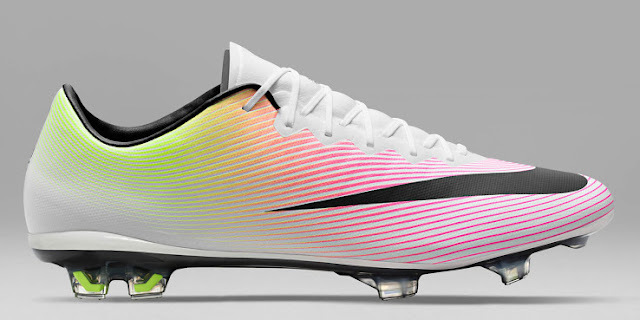 This mercurial family boots are expected to be worn by PSG player Zlatan Ibrahimovic and Chelsea football Eden Hazard. Now its time to try Nike Magista Obra radiant pack. This is the boot having the boldest design on its upper area. As you can see in the picture, color becomes fade when you move from bottom to top. Black colored dynamic fit collar is marked with a pink colored stripe on the top. If you have liked the above thee collections, then you would probably like this also. 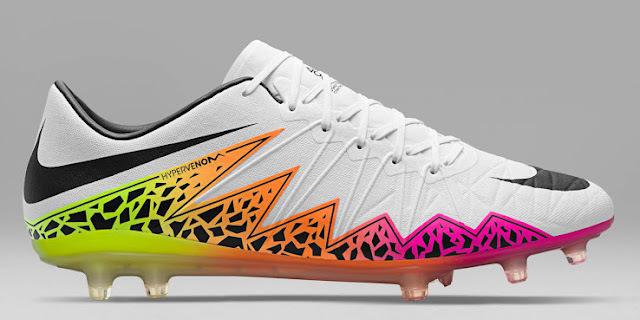 The all new Nike Hypervenom radiant reveal pack 2016 built with white, black, orange and pink color combination. Nike trademark logo is on front upper area and on its back heel also. 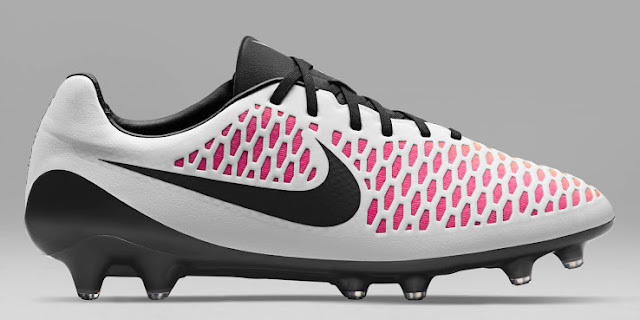 Nike Hypervenom low cut version is almost identical except the dynamic fit collar. Thiago Alcantara, Robert Lewandowski and Jamie Vardy will wear the Nike Hypervenom radiant football boots. So what are your thoughts about the new Nike Radiant reveal pack 2016? Let’s have a conversation over here.